As many customers do ask, here's a little "potted history" with apologies to better historians than me for the bits I've undoubtedly got wrong . . . Many people feel the very name "Rose" doesn't sound Scottish at all, no doubt because of associations with the rose as the national emblem of England; however, Clan Rose is actually one of Scotland's ancient clans. The name Rose gave rise to the (variant "Ross" but, importantly and confusingly, Clan Rose is separate from Clan Ross!?! Roses are either of Irish or Norman descent - or possibly a mixture of both. The Rose coat of arms contains three bouggets (buckets) which makes it similar to the English family of Roos, but this similarity was also carried by other families. Ros, in Gaelic, signifies a promontory, like a headland by the sea or by a loch - the suggestion is that anyone living in such a place would naturally be styled "de Ros". Ros also means rose, as in the flower, but it seems unlikely that a clan would adopt a name with such little significance and which was "unmanly" in clan society with its male hierarchy. The Norman descent comes from the notion that the first clan Chief Hugh Rose was a protegee of Bishop Odo, half brother to William the Conqueror. The Rosses, or Roses, were in other parts of Scotland as early as the time of King David I, but the history of the Kilravock family commences in the reign of Alexander II in AD1241 - 1285 at which time they held the lands of Geddes, in the county of Inverness. The Clan Rose, descended from Hugh Rose of Geddes who came over from Ireland in the early 12th century, being one of the original Maray clans. They were vassals of the old Earls of Ross but are quite separate in origin from Clan Ross. The family of Rose of Kilravock (lands near Inverness) appear to have settled in the area of Nairn, in the North East of Scotland. Hugh (16th Baron) hedged Clan Rose's bets by entertaining both Prince Charles Stewart (Bonnie Prince Charlie) and the Duke of Cumberland (separately!) 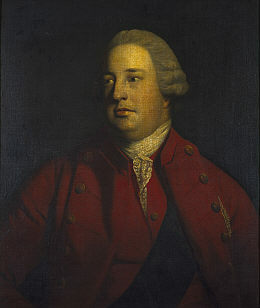 on the evenings of 14th and 15th April 1746 before the battle of Culloden. 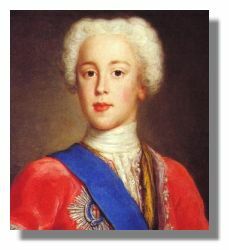 Cumberland knew of the Prince's presence the previous evening and felt there was nothing untoward, such were the "gentlemanly" niceties of the times. A pity, then, that Cumberland acted with such ungentlemanly barbarism after Culloden, earning himself the nickname "Butcher Cumberland". Kilravock was a firm supporter of the British Crown and the clan largely escaped the aftermatch of the Jacobite uprisings, preferring to strengthen its own position through strategic marriages and alliances ith more powerful families. 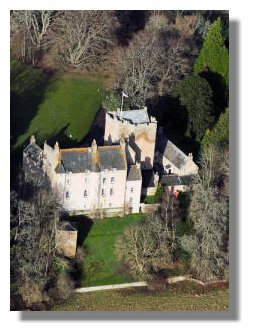 The clan's Castle is situated on the bank of the River Nairn, built by Hugh (7th Baron) in 1460 and added to in the seventeenth century. It is still inhabited, and contains many pieces of armour, portraits, and family relics. Clan Rose is sometimes regarded as a "hidden gem" of Scottish clan life - being one of the quieter, law abiding clans who were not caught up in the inter-clan wars and feuds or the Jacobite uprisings. Some historians respect their neutrality, other less generous commentators regard them as opportunist. 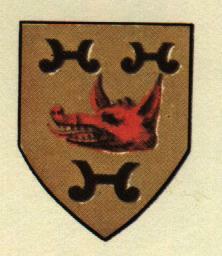 Septs associated with Clan Rose include Barron, Geddes, Baron and Ross. The tartan offered here is the variant: Rose Modern Hunting Tartan.